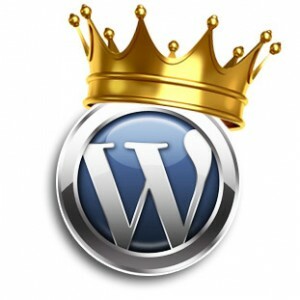 There’s no doubt that WordPress is the most popular website platforms and CMS (content management systems) on the Internet today. Web designs, based on WordPress, can count on widest internet support of coders and designers around the world. Very user friendly and relatively easy, for the average internet user, to learn, and is easily extensible. Equipped with content management system, allows people with no or little HTML code knowledge, to be able to edit content of the website or even complex functions like contact forms, with ease. The WordPress platform makes it easy to customize the design and feel of your site. It features a state-of-the-art plug-in functionality, and with existing sets of plug-ins, you can add new features and sophisticated functionality with one click. These are main reasons why many of small businesses would turn to WordPress based web design, to establish its online presence quickly and with low cost. There are thousands of pre-designed WP templates available and easy to install. But, as a business owner you have to understand that these WP templates are made by web designers – NOT business owners, focusing more on design and look and much less on marketing, SEO and business functions. Here is when Ewebproject came on stage. Ewebproject is a local WordPress web design company in Fort Lauderdale, ready to help you with trustworthy and skilled developers. We will not only set up the WordPress with one of chosen by you, generic templates, but also will edit the template design to fit your business needs. We will set up and configure all necessary plug-ins for you, add all necessary contact elements like social media icons, phone number, quote or contact forms and even design or re-design a logo for you. Ewebproject will design a graphic banners for your web design, advertising the biggest ‘money makers’ for your business (products or services). If you are running a Fort Lauderdale local business, there is additional advantage to Ewebproject services – We are LOCAL! Sometimes it is very difficult to explain some concepts or ideas over the phone or via email, so if you are looking for WordPress Web Design Services in Fort Lauderdale, give us a call!